Graeme MacQueen’s new book, The 2001 Anthrax Deception, reveals stunning links between the 9/11 attacks and the anthrax attacks that immediately followed. The book also reviews some of the interesting actions taken by alleged hijacker leader, Mohamed Atta, in the years preceding 9/11. These actions suggest that Atta was trying to leave the people he encountered with memories that would support the official myth. In the few years before JFK’s assassination, Lee Harvey Oswald engaged in similar attention-seeking actions. Considering this leads to the discovery that Oswald and Atta had a lot in common. The legend of Mohamed Atta describes a man who seemed to be everywhere at once. In just the two years before 9/11, Atta reportedly lived and/or plotted in Germany, The Netherlands, The Philippines, Czechoslovakia, Afghanistan (via Turkey and Pakistan), Oklahoma, Las Vegas, Spain, and numerous locations in Florida. Oswald also traveled extensively in the years before the JFK assassination—back and forth from California to Japan, to New Orleans, Dallas, and Fort Worth, to Mexico City, and to Minsk and Moscow. Atta was involved in many notable events in a short period before 9/11. Among other things, he annoyed airport employees, was bitten by a dog, consumed alcohol and cocaine, lived with an exotic dancer, and killed a cat and her litter of kittens. He got pulled over for driving without a license, got drunk and swore at a waiter, and abandoned a plane on the runway. In some of these cases Atta interacted with police and the risk for police interactions was there in almost every case. Some of Atta’s reported actions suggest that he was trying to leave clues. One such incident, occurring around April of 2000, involved his attempt to seek a U.S. government loan to help him purchase and modify a crop dusting plane for large-scale chemical use. In his one-hour encounter with Johnell Bryant, a federal employee from whom he was seeking the loan, Atta talked about security at the World Trade Center and buildings in Washington. He went on to talk about his connection to Al Qaeda and his admiration for Osama bin Laden. The most vivid memory Bryant had of Atta was his extremely dilated pupils—a symptom of drug abuse. In his interaction with Bryant, Atta made a big deal about a picture of Washington D.C. in her office. Bryant said that Atta acted like he wanted that picture very badly. Johnell said that Atta’s “emotions kept going up and down, up and down” and he became agitated when she would not sell him the picture or give him the $650,000 loan to buy the plane and equip it with the large chemical tank. To emphasize his displeasure and heighten the experience, Atta suggested that he might cut her throat. Those are certainly not the actions of someone trying to keep a highly secret terrorist plot from being discovered. Atta’s antics continued until the day before 9/11, when he made an inexplicable last-minute trip to Portland, Maine, leaving with only 75 minutes to catch the flight that he allegedly had carefully planned to hijack in Boston. He conveniently left the most incriminating evidence possible in his luggage. Like Atta, Lee Harvey Oswald was busy making himself visible before he allegedly assassinated the President of the United States. His activities in that regard are described well in James Douglass’ book, JFK and the Unspeakable. In fact, reports about Oswald suggest that, like Atta, he was too busy to have been only one person. Whoever it was, the person posing as Oswald made a number of attempts to draw attention his way. Oswald’s strange behavior in the summer of 1963 provided evidence that he was trying to be noticed. In New Orleans, he engaged in pro-Castro activities by pretending to be the head of the local chapter of the Fair Play for Cuba Committee—but he was its only member. This appears to have been a superficial attempt to support what would become the official line that communists were behind the JFK assassination. Oswald went to Mexico City in the fall of 1963. During this visit he allegedly made phone calls and visits to both the Cuban and Soviet embassies. He is also reported to have written a letter to a known KGB agent who specialized in assassinations. The CIA monitored such communications closely and it is interesting to consider that 9/11 investigation leader Porter Goss was a CIA operative in Mexico City that same year. In any case, whether true or not, Oswald’s reported actions there indicate that he was working to provide a more recent history for himself as a communist operative or supporter. Sylvia was disturbed by the visit and the call, and she wrote to her father in prison who wrote back that he knew none of the visitors. When Sylvia heard of President Kennedy’s assassination on the radio—before any mention of Oswald had been made—she was convinced that “Leon Oswald” did it and she reported it to authorities. The FBI interviewed Sylvia in December 1963. Although her testimony was not included in the Warren Report, the incident was clearly meant to connect Oswald to the assassination plot. Apart from their world travels and attempts to be noticed, Atta and Oswald had other important things in common. For one, both of them appeared to be above the law. That is, they both committed crimes and yet they were not held accountable. There are reasons to believe that Oswald might have been subjected to CIA mind-control experiments using LSD in the late 1950s. In any case, in 1959 he defected to the Soviet Union. At the U.S. Embassy in Moscow, he reportedly told officials that he planned to give radar secrets to the Soviets. That, of course, would have been treason. Oswald lived in the Soviet Union for three years and married a young Russian woman. In June 1962, he was not only allowed to return to the United States, the U.S. government loaned him money to return, never prosecuted him, and claimed to have never even debriefed him. Although Mohamed Atta ‘s pre-9/11 crimes were not so dramatic, he enjoyed the same unbelievable luck with regard to lack of prosecution or interrogation. In 1995, Atta was investigated by German authorities for drug-related offenses yet was never charged. There is evidence that Atta continued to use drugs, as was suspected of Oswald. Atta’s stripper girlfriend, Amanda Keller, said that he “had massive supplies of cocaine” which he restocked whenever needed at one of the flight schools he frequented in Florida. Keller said that during the time she dated him, she saw Atta do cocaine on multiple occasions. Atta should have also been wanted for abandoning a stalled aircraft on a busy runway at Miami International Airport, in December 2000. Although the Federal Aviation Administration threatened to investigate the matter and hold him accountable, the whole thing was mysteriously dropped. Three months before 9/11, a warrant was issued for Atta’s arrest in Florida. Having been stopped earlier by Florida police and cited for not having a driver’s license, the warrant was issued because Atta failed to show up at court for the hearing. Yet not only was he not arrested, Atta spent the next few months flying all over the U.S. using his real name without being stopped or questioned. He was pulled over again in July—this time for speeding—in Delray Beach, Florida. Instead of being arrested on the outstanding warrant (supposedly still not entered in the computer system more than a month later,) Atta was simply given a warning. If the Delray Beach police had checked his immigration status, they would have found that Atta’s visa had expired—another crime. A month after that, Atta’s rental car was queried by police in Broward County, Florida. The existing arrest warrant still did not generate interest, despite the fact that Atta had rented the car in his own name. When Atta bought his flight ticket for 9/11, the outstanding arrest warrant was still in effect and his visa had been expired for over two months. It turned out that violating visa regulations was common for many of the alleged hijackers, yet it never caused them problems. People have often wondered if Oswald was a CIA employee. Whether or not that was true, or can be proven, several of Oswald’s associates were CIA employees. For example, Oswald’s “best friend” in Dallas, George DeMohrenschild, admitted that he was connected to the Dallas office of the CIA. Another close friend of Oswald and his wife was Ruth Paine, in whose house much of the incriminating evidence was found. Paine’s sister worked for the CIA and Oswald’s wife later said that Paine was sympathizing (or associated) with the CIA. Similarly, Mohamed Atta had associations with people linked to the CIA. For example, Luai Sakra, an informant for the CIA, was reportedly in contact with Atta before 9/11. Sakra’s lawyer later said that his client admitted to helping the alleged hijackers. Moreover, it is known that the CIA made efforts to recruit another of Atta’s friends. This was Mamoun Darkazanli, who along with Atta was a member of the Hamburg Al-Qaeda cell. By early 2000, Atta was under CIA surveillance. At the time, he began contacting flight schools in the United States. This included communicating with and visiting airports in Oklahoma. Those activities led Atta to the same locations as persons of 9/11 interest such as University of Oklahoma president David Boren and Stratesec CEO Wirt D. Walker, whose company provided security for facilities related to 9/11. The man who trained Zacarias Moussaoui, the sole person convicted of crimes related to 9/11, now occupies the same airport hangar as Walker’s companies did in the years before and after 9/11. Coincidentally, while Atta and Marwan Alshehhi were learning to fly at Huffmann Aviation in Venice, Florida, “A CIA front company called Air Caribe was also operating out of the very same hangar at Venice airport.” The southwest Florida area near Venice, where Atta and the alleged hijackers spent so much time, was home to a long history of CIA and drug trafficking operations. 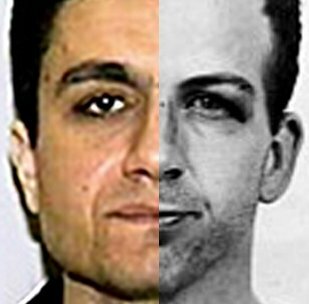 Lee Harvey Oswald and Mohamed Atta had much in common. They both traveled extensively in the time leading up to their respective crimes and both sought attention in ways that would implicate them in those crimes. They were both suspected of using illicit drugs. They both seemed to be protected by authorities when they might have been prosecuted before accomplishing their tasks, and they were both associated with CIA-linked entities. Officially the biggest difference between them is that one was part of a conspiracy and one was not, but the evidence indicates that they were both operating within wider deceptions controlled by powerful people. This is a very good article. It's well worth taking the time to read it. Good work, Kevin. Shoestring on Sun, 12/21/2014 - 11:50am. kevin; do you mean oswald was not part of a conspiracy? i think it could be said both were part of a conspiracy whose true confines/plans were unknown to them. thymesup on Mon, 01/12/2015 - 7:26am.